Freiburg, 22.02.2017. The company group M10 Industries AG has twice reason to rejoice: On February 16th the technology foundation BioMed Freiburg has awarded the young company with the Innovation Award 2017 in the premises of Sparkasse Freiburg-Nördlicher Breisgau. 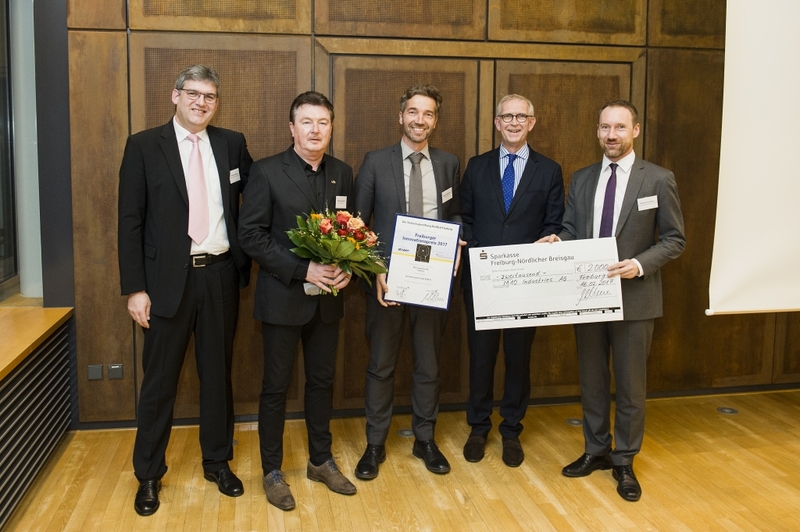 Furthermore the company has been honored by the city of Freiburg two days after on the Getec exhibition within the climate protection award “Climate first”. “We are glad and thankful for the awards of our hometown Freiburg which prove our innovative technology in the machine construction and our efforts for the climate protection in the region.” say Gregor Reddemann and Günter Schneidereit, both CEO of M10 Industries. M10 Industries developed the high performance tabber stringer Kubus which is the fastest in the world, specialized for efficient industrial mass production of photovoltaic modules. On the facilities of M10, M10 Solar-Campus (former Solar-Fabrik), Modules of M10’s subsidiary SI Module have been installed with a capacity of 220 kWp. For a successful energy conversion it is necessary that regenerative energies such as solar power become cheaper. The awarded high-performance Tabber stringer Kubus contributes to this because the production costs for photovoltaic modules are significantly reduced due to its unique uninterrupted production and its high performance. In addition, material can be saved because the copper semiconductors (Ribbon) required for soldering are used extremely efficiently. 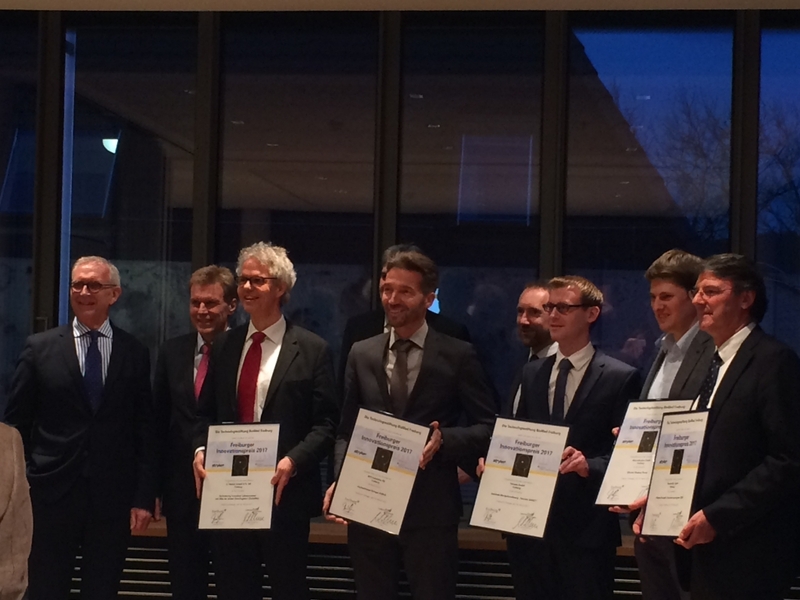 M10 Industries is one of five companies that received the Freiburg Innovation award from 26 submitted applications. 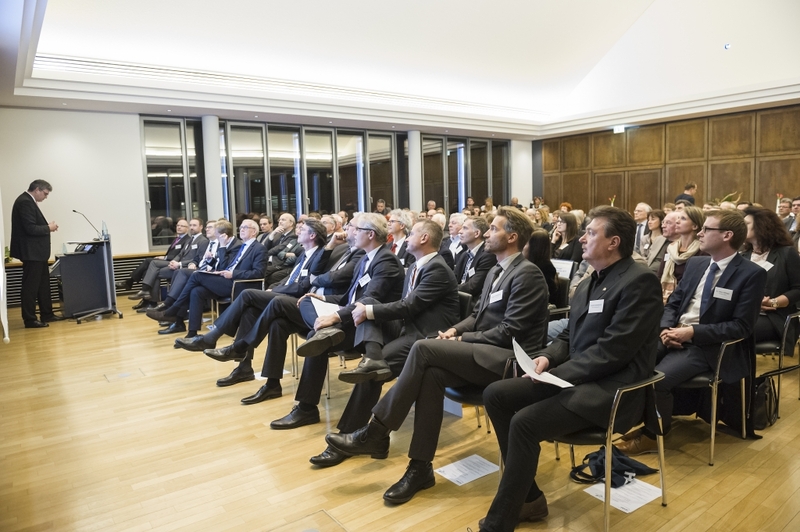 Within the scope of the event for the Freiburg environmental awards during the trade fair Gebäude.Energie.Technik (Getec) on 18 February, the M10 Industries has received recognition from the city of Freiburg for its commitment to climate protection. With its company headquarters M10 Solar Campus – the former Solar-Fabrik – it has applied for the award, which has been equipped with building-integrated photovoltaics on roofs and facades. The systems have been extensively modernized and expanded – with solar modules from the M10 subsidiary SI Module, which specializes in building integrated photovoltaics. The performance of all photovoltaic systems in the M10 Solar Campus is approx. 220 kWp. Around 200.000 kilowatt hours of solar power are generated each year – equivalent to about 70 percent of the energy required for production and administration, which can be used in the buildings themselves. The contribution to climate protection is enormous: 138 tons of carbon dioxide are saved annually. This commitment to regenerative energies has been rated as exemplary for other industrial companies and has therefore received recognition from the jury. “The M10 Solar Campus demonstrates how aesthetic and efficient building-integrated photovoltaics are and how climate protection can be integrated into the energy concept of an industrial enterprise,” emphasize the award winners Reddemann and Schneidereit.